Pentagon windows are fairly rare specialty windows in the shape of a pentagon, which has five sides to it. They are seen probably about the same amount as octagons, although they are often used as showcase picture windows, as in the photo below. Pentagon windows have five equal lengths to the frame. They are often larger in size when used as stand alones or can be smaller in size when used as accent designs — typically as part of a series or combination of frame designs. Many larger version will use wood as the frame material and smaller accents will be vinyl or separated by a metal mullion. See more on Huge price range here only because that upper end will be for large showcase views that demand complex custom installs. The resultingwindow installation cost be quite expensive, espeically with any alterations that have to be made to the window opening. The shape really lends itself to interesting designs. Because they are fairly rare, they create real focal points on a home, especially for the big picture variety. When used in combination with other designs, such as triangle shapes, they can make for a very memorable set up and design. Custom installs will usually be quite pricey on these projects. 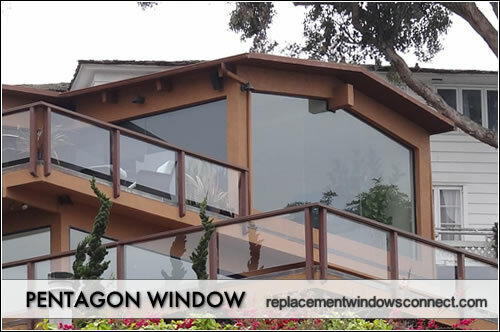 The most affordable option is simple replacement inserts that can be swapped out with the current window. 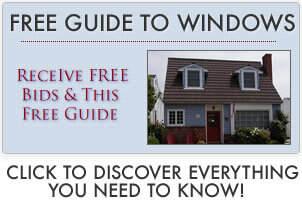 Any changes or alterations to the window opening will result in higher bids from various contractors.